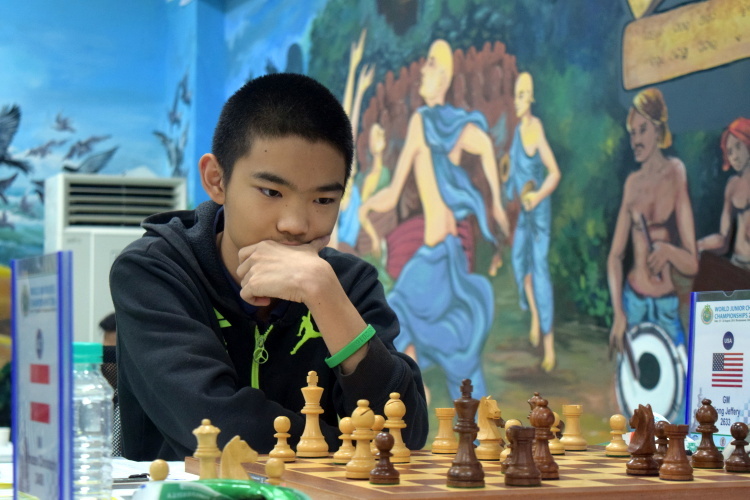 Leading to the final round, Round 13, Jeffery Xiong of the United States was already a clear winner of the event. He dominated the event all throughout with eight wins and five draws. Thus, he is now the youngest player to win the World Junior Chess Championship title. 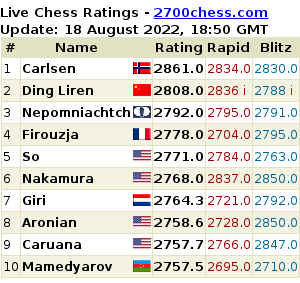 The top-seeded Russian GM Vladislav Artemiev came in closest with 1 full point behind, 9.5 points. Replay all the games in the Open Section. 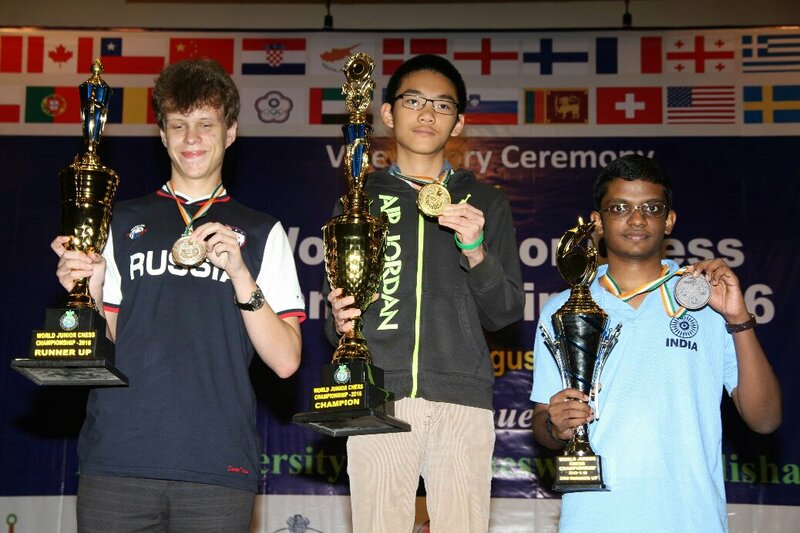 The winners of World Junior Chess Championships 2016 Open Division: Vladislav Artemiev (Runner Up), Jeffery Xiong (Champion), and Narayanan Sunilduth Lyna (2nd Runner Up). Photo credit: wjcc2016india.com.